Please sign this petition ‘Helen’s Law’ and share with all of your friends and family so they can sign to. 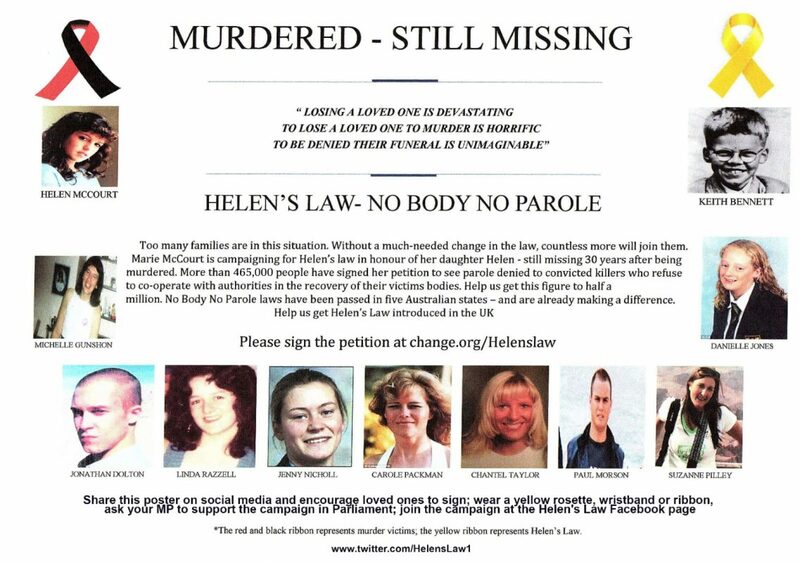 ‘Helen’s Law’ will not allow for these evil killers when no body is found. These evil killers such as Stephen Wynne who brutally murdered Chantel Taylor must not be granted parole ‘ Helen’s Law’ will stop this happening. No Body No Parole.